Experienced Seller's Fee for Service Program or Traditional Commission? call 519-642-0619 or click here to schedule an appointment . Fee for Service program - Pay for only the services you need. $ave thousands in commission costs! Note: * Commissions are not set by law but we suggest a BIG commission incentive to the selling REALTOR®. **Sign and Lock Box rental $30.00 per month ($250.00 deposit required). Deposit (net of rental fee) refunded when sign and lock box returned to our office. Market Analysis $275.00 - we'll come to your home and provide you with a detailed comparative market analysis. Colourful Handouts - We prepare and print 50 colour feature sheets and deliver them to your property. If you prepare your own handouts we request you send us a copy for approval prior to printing to ensure compliance with RECO, REBBA 2002 & LSTAR regulations. 2 hour open house $250.00 - We will host an open house for you on Saturday or Sunday at a pre-arranged time and date. Just Listed Announcement $150.00 - Contact 20/200 property owners in the surrounding area and we'll email agents active in your area. Virtual Tours $150.00 - $450.00 - There are several types of tours available. Newspapers & Magazine Ads (25.00 & up) – We must approve all advertising “in writing” to ensure compliance with RECO, REBBA 2002 LSTAR regulations. 30 day Listing extension $250.00 per month - Listing extensions on MLS®. “NET” less any Lawyer fees, mortgage discharges, Liens etc. Each property will be different pending price, commission, & services. The above example shows a property selling “firm” within 60 days and not using any other service offered. We will take care of all your real estate needs. 1) Expose your property on the real estate MLS® system both nationally and locally as well as numerous internet sites. 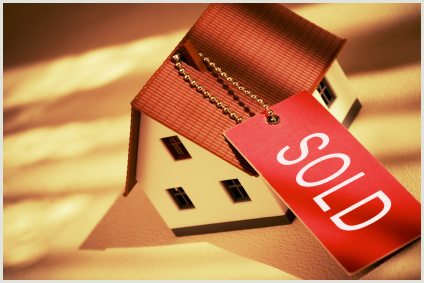 2) Provide you with a written market evaluation/guide and plan to help you SELL your property. 3) Contact neighbours and property owners (phone or flyers) within the surrounding area; they might know someone or they might be interested themselves. Signs are great…24 hour salesperson but not everyone drives down your street searches the internet or reads the paper everyday. 4) Contact REALTORS® who have sold and listed property in your area. Not all agents are constantly checking the real estate board for new listings. We want to make sure they know about your property. 5) Suggest and advise regarding any changes that you should consider making to your property to make it even more appealing to prospective purchasers including a checklist entitled “Prepare Your Home for Showing”. 6) Represent you, handle all follow-up, and keep you informed even after the offer has been accepted. 7) Develop feature sheets, announcements and ads listing and showing the benefits of your property. 8) Sell your property. It doesn’t matter to us who sells your property or from what company or board they work for…what matters is you sell your property at a price and terms that are acceptable to you. 9) Provide constant feedback to you and advise you on any changes. 10) Focus our efforts to help you receive the most money for your property in the shortest period of time with the fewest problems possible. Let’s get started - contact us at list@link2realty.ca or call 519-642-0619. What is the MLS®? The Multiple Listing Service a data base of properties offered for sale shared by registered real estate companies. Only Licensed REALTORS® have access to this information. Will my listing look the same as other company listings? Yes all properties listed for sale on MLS® follow a similar format. Will my property be listed on the Internet? Yes your property will be listed on mls.ca and realtor.ca. How much do I have to offer Buyer's Agents in commission? Commission is negotiable. We suggest always be competitive and even lead the way! Why fee for service? Today's consumer is more and more educated and involved in the selling and buying process. Only pay for the services that you require. Licensed REALTORS® trading in real estate is governed by several agencies. Agencies such as RECO, CREA, OREA, LSTAR & FINTRAC. These agencies provide guidelines, rules and regulations that we at Link 2 Realty Ltd. follow. By using our service you agree to abide by their rules, regulations and guidelines. All inquiries are directed to Link 2 Realty Ltd.
All advertising must follow the “Advertising Guidelines” and be approved in writing from an authorized representative of Link 2 Realty Ltd.
You agree to use email as a main communication tool and agree to check your email regularly through out the day. Reminder that a REALTOR® showing your property is working for his/her BUYERS. Be careful what you say; it could be used in negotiations later. Payment for listing as a “fee for service” is due immediately upon the agreement to list. Lock Box is an electronic safe. Only a Licensed REALTOR® has access to open this safe.